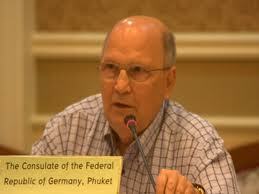 ‘I never thought it would come this far; but Phuket is now worse than Pattaya!’ – German Consul. If that’s bad – wait until you get to the Gomorrah of Tawdry Overindulgence! Do television crews filming in Phuket now require an armed guard? Oh dear, Phuket’s international reputation as a rip-off resort has taken another dive with the local German Honorary Consul Dirk Neumann saying the island has now become worse than the world’s favourite ‘whipping boy’ Pattaya. It seems that the combined Embassies of Europe, the United States, China, and Australia, are fed up to the back teeth, with complaints of jet-ski rip-offs, taxi rip-offs, and even attacks on tourists, tuk tuk rip-offs, drownings, and the general lack of protection for tourists, who it is claimed are treated not so much as guests but as targets. Consular officials, nay even Ambassadors, used to have regular meetings with the Governor of Phuket but it seems that Governors does not like getting bad news all the times and those meetings have now been faltering…er badly. He says visitors from Germany are down. That however makes little difference. Tourism generally has been booming as never before, thanks to news mass tourism from China, and Korea, and of course the growing Russian arrivals. However the Chinese are already complaining. The best way to come to Thailand nowadays, says Dirk, is as a package tourist. That way tourists are shielded from the scams and rip-offs, meet mainly people trained in the hospitality industry, and do not interact themselves into a potentially difficult situation. You can read the ‘Stern’ piece here. Phuketwan has a summary and has been following the story in much more detail than I. Will this all change anything? No. The local tradition is to shoot the messenger. The British made television series ‘Big Trouble in Tourist Thailand’ did a lot to lift the lid off scams. 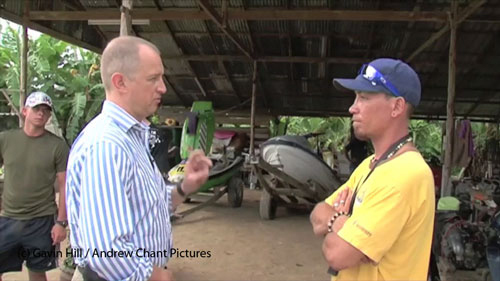 The Thai reaction at the time was to vilify the producer, so much so that a sequence showing a guy called JJ ripping off Royal Marines who had hired jet skis in Phuket, was condemned not for swindlers’ actions, but those of the production team. So is it going to be Koh Samui next? Koh Phangan has just taken a clobbering from Time magazine. A good reason not to listen. Unless things change drastically, I'll never go to Phuket again. Why bother with the hassle when there's so many other places to go?